Picture 1- In POSB Run 2018, the best time was by elite Kenyan athlete for 10km race in 32min 22sec. No Singaporean were near him. Mr Rameshon’s best time for 10km road race is also 32m 22sec, done in the past. After reading a number of past articles, local athletics books, websites, and also interviewing athletes, I realised that it will be good to share with people some of the untold stories, of our own Singapore distance runners, particularly in road racing. For instance, in POSB Race 2018, this year, an elite Kenyan runner ran and won the 10km race in 32min 22sec, for Men Open category, where the quality of the race was good. The second male winner was also a non Singaporean, a Gurkha. Having interviewed Mr Rameshon, he showed me a diary with 1995 training book, and I saw his Singapore best time was 32min 22sec where he beat one of the most formidable Malaysian runner called Ramesh, personal best for 2.4km was 6min 56sec, who was undisputed in Singapore soil, in winning a race. Yvonne Danson, another top runner and current marathon national record holder for women open category, unsatisfied, remeasured the 10km route again and told that actually distance was 10.3km. The story of the race was inspiring to hear and I shall write in detail in the upcoming blog post. Picture 2 – Balasundram did 2hr 33min in less than two year of of training with Mr Rameshon. He quit running as he was not able to break national record. There are other past unknown heroes like Dr Bala, Khoo Chin Poo, Balasundram, Ernest Wong, and Tan Choon Ghee. It is good for people know, as the latter can trace back the history of distance running to have knowledge and also to make running more a worthwhile pursuit. 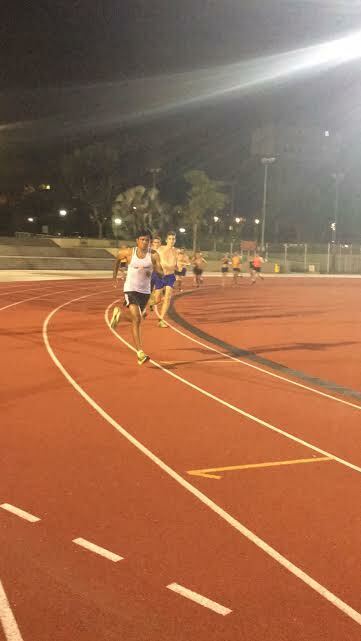 Picture 3 – Tan Choon Ghee’s record was 2hr 34min and Mr Rameshon broke it to 2hr 31min in 1990 done in HK Marathon. It is, in fact, good to know the a summarised history of half-marathon best timing ever, especially in road racing, as people do need to know as they may get confused. It is only now that people know that Dr Bala is the fastest ever Singaporean for 10km for road and that Mr Rameshon is the second fastest ever. In half – marathon time Mr Rameshon time has done 1hr 04min in Johore, the best timing ever by a local until now for half marathon. I shall be writing a lot of these unsung heroes for the benefit of fellow Singaporeans. So, watch out for it! Good Food – How to Increase Energy? Picture 1 – There is a vitality score for every food. I can write on this topic and it can be lengthy. In short, take note that spices have the highest score for vitality, compared to fruits, which comes next. After an intensive study, it was noticed that tumeric has the highest vitality score. Sri Sri Ravi Shankar told during talks that it is wise to put tumeric in food, at least a little quantity. There are many studies to show that tumeric can prevent cancer in a person. It can prevent innumerable sickness and diseases as well. Out of fruits, the family of berries are the best in vitality score. Blue berries have one the highest score for the berries family of fruits. Studies prove this so. Having discussed on summary of Spices and Fruits, I will summarise below on how I come to know about Sattwic, Rajasic and Tamasic food and give some details on the meaning as well. After that, I will list out all the food items for people to understand easily and on the classifications to enable people to choose food wisely. Picture 2 – Tumeric, not only adds flavour to food, it also adds value to the vitality score in having highest score out of any food. In the past, I read a book on Dr Sivananda (1987-1961), who became a doctor by profession. He explained on the meaning of Sattwic, Rajasic and Tamasic, from his experience. Hence, I chose my food wisely during my competitive years. Dr Sivananda wrote more than 100, maybe even 200 books on health, diet, yoga, etc. Due to my strict regiment in my diet, I found abundant energy when I chose Sattwic as opposed to Rajasic and Tamasic food. Feeling of being strong will set in mind and body and there will be serenity of mind. One could do visualisation and mental training properly with clarity. I remember Dr Edgar Tham telling us in the 1995 SEA Games in Chiengmai, “CLARITY is POWER.” Also, I found that it was hard to get injury when you are consuming food like fruits everyday as anti-oxidants are found to be abundant in them. Anti-oxidants cause a person to recover faster and the immunity of the body will be very good. You will have an excellent health. Hence, let me discuss the topic on the 3 types of food which will prevent us from falling sick and feeling devitalised. There are altogether three kinds of food that a man consume – Sattwic, Rajasic and Tamasic. Moreover, according to the gunas or temperament, a man is controlled by Sattwa, Rajas, Tamas. Sattwic food makes you light, feel good and render the mind calm and serene. People who want to have a good meditation should take Sattwic types of food. If your mind is calm, you can meditate better. If your mind is not calm, it is difficult to meditate. Examples of sattwic food are fruits, barley, vegetables, etc. Rajasic food makes you feel energetic. Examples of Rajasic food are chilli, meat, fish, eggs, etc. Rajasic food excites passion and makes you lose the calmness. The last, but not least, is Tamasic. Tamasic food makes a person lazy and dull. Examples of Tamasic food is unripe fruits, over-ripe fruit, more than 3hour food, re-heated food, food kept for several days, etc. Hence, to put it in a nutshell, all food has these three different characteristic. Different foods exercise different effects on different compartments of the brain or the mind. Thus, a man’s nature is greatly influenced by the food that he consumes. The fact that man feels a desire for certain foods are according to his guna or temperament. A man achieves all his purposes in the world through the body. It is the vehicle that takes him towards his aim, purpose, target and goal. Therefore, it is advisable to keep it clean, strong and healthy. The body is a formed by the mind. The body and the mind are actually connected. The food that the body takes has a vital effect upon the mind and activities. Therefore, whatever we consume or foods that build the body and the mind should be pure, nutritious and wholesome. Every food we see is of threefold. The food is either Sattwic, Rajasic or Tamasic according to its character and it has effect upon the body and the mind. You can find out the nature or temperament of a man from the nature of the food he takes. This can be seen in animals that take vegetarian food, for example, elephants, cows, horses and goat are usually calm. Animals like tiger and lion are usually not calm and are controlled by the nature of the Rajasic temperament that they derived from meat. You can find out your own nature, whether you are Sattwic, Rajasic or Tamasic from the food you take. It is wise if you can abandon the Rajasic and the Tamasic foodstuffs and take to the Sattwic diet. Also, our daily life is controlled by these three mode of gunas Sattwic, Rajasic and Tamasic and they keep changing throughout the day. Only by sticking to Sattwic food, one can, over time, have more of the Sattwa qualities lightness and calmness and less of getting oneself irritated or feeling of being lazy. Now, I shall enumerate the food that have these 3 qualities. Sattwic Food – Added benefits are it increases vitality and strength in one’s body. A person will have cheerfulness, mental clarity and serenity by eating these type of food. Mental poise can be attained by eating this type of food. The body will be full of energy and one would feel energetic throughout the day. Hence, Sattwic foods are highly condusive and beneficial to health. There are others as well. Take note that Fruits, vegetables, brown bread and rice form most part of our food. Rajasic Food distracts the mind, excites passion and one gets disturbed by emotions. this causes restlessness of the mind. The mind will think about one thing and then quickly switch to another causing one to lose focus. In short, the mind is caused to have a cravings. The mind, thus, thinks about many things. Milk is the best food for yogis but it may not suit everyone. If one finds that one form of diet is not suitable, it would be advisable to change the diet and try some other Sattwic articles of food as this is a common sense approach. Milk should be boiled as soon as the boiling point is reached. Too much boiling destroys the nutrition and makes the milk quite useless. In the past, I used to do several talks. The biggest project on running that I have ever done was the EKIN Project. I was doing for NIKE, who were formerly my sponsors. They were my first full fledged financial (cash) and non financial sponsor (in kind) for running and I was given a number of talks in the past. I have given talks just before Stanchart Marathons, a few years ago. Picture 2 – Food forms as one of the four sources of energy, choosing correct food is important for increasing one’s energy level, thereby increasing one’s enthusiasm. I asked him, “Why are you asking me this as you can ask me about how I train etc and so on”. He told me, “It is willpower to run. For us, we want to run, but we are lazy. I am wondering what thoughts go through your mind to continue running.” At that time, I was purely puzzled and I told that I am very motivated to run and it is very easy to run. I told him,” I feel like running, so I run and I do not feel bored to run.” For me, even now, I feel that the best answer is to see and hear a real life examplary. It can be elite runners etc. I told him, “If you read the autobiography of great runners you will be very motivated.” That was how I did it. Looking back, as time passes, I can see that sometimes we feel lazy. Even if we have goals, there is a possibility, as we may relent to indiscipline and try to laze around by meeting up friends or go for coffee or watch the television, instead of running and getting the stress of life out of us. Personally, to me, there is more to this when we talk about motivation and enthusiasm. Picture 3- Sri Sri Ravi Shankar is a good example of how to be enthusiastic throughout life. Only after meeting Sri Sri Ravi Shankar, Founder of Art of Living, I realised that there is a thing called fatigue. There is also this thing called the four sources of energy. Sri Sri Ravi Shankar told that we get energy from food (which has water as well), breathing, sleep and from inspiration (which includes meditation, positive words etc). All these four can increase one’s energy, and that energy is connected to enthusiasm. Sri Sri Ravi Shankar says, “Enthusiasm is like the tip of the fire, it is always up, not down.” He also said that when one is joyful, one is able to counter tiredness and fatigue. I shall discuss on these four sources of energy in detail on another blog post, in order not to bore people reading who are reading on. In this section, I shall summarise on the benefits of breathing technique, which is the most important source of energy. Only in 1995, I realised that I was feeling burnout from running and nothing could help or save me. People encouraged and motivated me to continue training. They also told me to train with them as a group. To this I did not budge as I just did not feel like running. Then, I chanced upon a book on sports which told about breathing technique. Straightaway, I took a flight to India, Bangalore, Kanakapura Road, to Sri Sri Ravi Shankar Ashram. I did a basic breathing technique course and learned about Sudarshan Kriya. Immediately, after that, I did an advance course. After completion, in order to refresh myself, I did the advance course again, twice. My energy was up. I could feel it. I felt recharged instead of having this run down feeling. When I came back from the Ashram from India, I kept practising the Sudarshan Kriya, again and again, till I took part in Chiangmai 1995 SEA Games Marathon. I did 2hr 24min 22sec and broke the men’s open national record for marathon, while Yvonne Danson did 2hr 34min to break the women’s national record. Both of us were the only two from the track and field events to qualify for Olympics from the SEA Games performance. The training times before the SEA Games were all improving consistently all because of the positive things I have learnt from the Ashram plus the breathing technique as it is known that proper breathing technique normalises the emotion and enables one to perform well in sports and one can in fact perform better at peak performance. As such, I feel that breathing correctly and doing deep breathing technique do bring about increase in energy level of a person, which in a way increases enthusiasm also. My burnout feeling vanished after coming back from India to train for the SEA Games in 1995 and I did very well. I was overjoyed and I did not know how to express myself. I was on top of the world. About the other three sources of energy, food, sleep, inspiration, I will discuss in my next blog post. Just take note that if a fish comes out of water, it cannot live without water. Likewise, in water, we cannot live without air, even for few minutes. That shows how important breathing compared to other sources energy is and it is good to attend to the breath to be centred to oneself and increase one’s enthusiasm. Picture 1 – Even kids start running happily with goodie bags. Over time, we should organise properly to enable one to improve one’s time, in the future. For this to take place organisers of a race should organise properly to enable runners, young and old, to continue running in the long run. From then on, that must have made organisers to bring in ‘the finisher t-shirt’. It came about by the race organisers who want to increase sports participation in a person, to complete a race. This guarantees participation in a race. The more people participate, in activity, the less one is worried about health care. In Physiology, it is written that the real truth in life is human beings are made to be outdoor beings, as opposed to indoor. If we are more indoor, we will get into problems, especially to do with health. The ‘finisher t-shirt’ does play as motivation for people to come forward to complete in race. The people see some material things which motivates them to run, and in this way, the sponsor gets their money’s worth, by people being attracted by brand of the t-shirt. This enables the organisers of the race to invite many future potential runners to come forward. Hence, it is important to organise in a way such that no runner runs wrong route. An Organiser should ensure this before organising the race. If one look at Hong Kong Marathon, where there are several races, on the day itself, the 10km half-marathon etc are held, where there is no place for one to go wrong route. In Berlin Marathon, London Marathon etc, I have not heard people going wrong route. This going of wrong route must stop, as it may dampen a person’s mood to run in the next race. If a race goes wrong, people will not come for future races and this will make people to eventually not train. In the long run, they have to pay a hefty sum to manage their own health care. All that I have mentioned above is for people who register in a race as first timers or there is a group of runners who continuously for the sake of goodie bags, as they are pleased with the branded t-shirt, which to my thinking is okay. The next step, they could think is to improve their timing, from 2hr, 10km time, to 1hr 40min and later on to do 1hr 20min. A person I know, who joined our programme, finally did 1hr 04min from 2hr personal best. For casual runners, simple improvement in personal best will be good as many out there can do a 1hr to 1 hr 10min in a race, over time, if they train 3 times per week. Moreover, even if one does not get any medal, an improvement in time will do. If one gets a finisher t-shirt or medal, it is a souvenir for one to keep. In psychological books, it has been found that many out there run if the goodie bags are good. It is an extrinsic motivation, not intrinsic. External awards do attract one to take part in a race and make one to run in a race, in the future. By and large, nowadays, I have seen people running to get a good time, not just getting the goodie bags. Hence, it is good for the organisers not to let the public down by organising races properly. Else, it is unwise to organise one. If One is interested to start a running Programme, we offer Group Class and Personal training session. Please go to Flexifitness Website to Find out more. When I was young, in primary school, I was not able to win any medal in any track and field race. The only medal I got was from soccer, and our group called Paul House, came in as champions for inter-class for primary 6 level. I was in De Salle Primary School at that time. Picture 1 – Now, my focus is to see how fast I can run as a 53 year old runner. in veteran races. My time in POSB Run was 39m 55sec for the 10km race. In Sscondary school, in St Joseph’s Institution, however, I was winning top 3 for class in 1500m, 3000m track race,and 4.8km cross country race, held at MacRitchie Reservoir, in the past. For inter-class, I was able to win medal, not only for running, but soccer and basketball as well. There is a time that I was used as a referee for inter-class as there was no teacher official on that day. I had to assist. However, except for inter-class, I could not win any medal for national schools sports for running or soccer or for basketball, and that made me to train even harder for it, and I was yearning to get a National School’s medal. I also, did not know which to choose. I thought about soccer as I liked it. However, my teacher Mr Coleman Baptist told me that running will be good for me. Only when I was at secondary four, I got 6th position, as I was ranked top 10 in the Under 17 boys. So, medals did play a role in making me motivated, earlier on in my life. I broke the SJI 4.8km cross country record, where I did 15m 56sec. Later on, I started to get top 6 medal for most of the community center races, SWIFT and SAAA Cross Country Championships. It was in 1989 to 1992, that I was able to come in first for 5km, 10km, 15km, 10miles, half – marathon and for marathon. I accumulated so many medals. Over time, I found that going for timing and not medals is more important and I wanted to do a sub-2hr 30min time for marathon. I ran in shorter races like 5km and 10km. Runners like M. Maran ran against me in 5km race, in one of the year, and he was defeated by me. In SAAA 10km race, he was overtaken by me again. M.Maran is a 4.8km 14m 13sec runner, fastest ever schools runner in Singapore till now. He is also a SEA Games bronze medal winner and a current national record holder for 3000m steeplechase, with a time of 9m 11sec. He also had a personal best time of 3min 53sec for 1500m. He has got a medal for Asian Youth Track and Field Championships. His former training partner Saravanan did 3min 53sec in 1500m. Saravanan has a personal best of 3min 59sec for National Schools 1500m, and until now nobody has broken. There was once he came for a 10km race, in that race, Saravanan was beaten. I did 32min 52sec, while he did 32min 54sec. Anyway, I was stuck with a marathon time of 2hr 30min done in 1991, California. In order to improve my time, I decided to use my own money and my parents money to pursue my further studies in Loughborough University. By going for timing, medals just kept coming to me. However, my focus was the timing. Timing was important, as it in itself formed a kind of motivation, where I was not able to get the same feeling from attaining medals and rewards. Therefore, it is good to take note that medals do help one in getting oneself motivated to aim for something material, to show that one is, in fact, good. As, one keep going in the journey of improvement, over time, the timing element come into play as the most important reason for training and makes one to sacrifice time, money and effort. The joy that one gets from attaining great success in timing, is something that it is hard to express and it cannot be expressed. Once attained the real challenge comes for keeping quiet. If one keep crowing, then it is like you are running for fame and glory, instead of feeling a sense of achieving an excellent effort. Picture 2 – At age 43 years old, I came in as the Men’s Open category champion and Daniel Ling (right) and Dr Ben Tan (right), were second and third in Stanchart Marathon, respectively. It was team work. Having won races, it was time to enable others to do well. One will feel euphoric when one attains the targeted time in the long run that one has planned for. Picture 1 –Runners who could do sub -14min 5km are easily accessible in Loughborough University. It is a common sight. To awaken the intrinsic motivation in a person, I take this opportunity to write this essay. Before that, I have to thank my coach, Alan, as he has a personality of humility. It is genuine. He taught me the process on how to go beyond awards and rewards and to enjoy and evolve in running. The best part of Alan is, when he wins a race, I have never seen him crow to anyone, once. As, such, I will go to the topic that I want to talk. It is to compare between getting a medal or one wants an improved time, from a time trial or a race. Picture 2 – Jack Buckner, a 13min 10sec 5000m runner is a friend of Alan. In my first year studying in Loughborough University, I met a number of top runners. After my first cross country race, I was introduced to Alan Guilder by Tim Dickenson, by former Captain of Loughborough University Cross Country Team. I was happy to train with Alan Guilder every morning. Alan was a 13min 32sec for 5000m track runner, and a number of races in Loughborough itself, he usually comes not second, but first. In Loughborough Echo Run, while Tim Dickenson came in second in Men Open’s category, with a time of 30min 30sec for 10km, I did 31min 46sec, and came in 10th. Both of us were two athletes of Loughborough University to come in top 10. Most of my Loughborough University friends were middle distance runners, as middle distance running was a craze in Loughborough. There were about 20 middle distance runners I saw, some were 3min 36sec people. The slowest 1500m runner was doing 3min 53sec, not any slower. Such was the standard in Loughborough University Athletics Team. Some runners do come from outside to join us. Over time, my friend Tim did a time of 48min flat for 15.2km run, with Alan. After my first year, I told Alan to be my personal coach and to plan for me everything. At that time, I was selected for National representation in IAAF World Half-Marathon, which I was supposed to go, and it fell on Sunday, 3, October 1993. Instead, I ran for Singapore in Berlin Marathon, in Sept, 1993. It was under him that I did 2hr 28minpersonal best time and a then national record. (Later I bettered it to 2hr 24min in Chiangmai SEA Games 1995). While training in Loughborough I also did a couple of very fast runs under him, which I will write in another blog post, in the future. Watch for it! While running one day, I asked Alan on whether timing is important or medal. To this, he told me that he has run in a race where he did not do well at all, but he got the gold and he was first. Many poured encouraging words and told congratulations to him. He told me that he felt that the gold was worthless as he did not get even a personal best time. He said, “In another race, I did exceptionally well, but I was not congratulated at all.” ” I came in sixteenth, but it was a very good personal best time. No one congratulated”. ” People are funny.” The key message, in summary, told by Coach Alan was to go for personal best time and not to be affected by the medals. To him, medals are just extrinsic rewards, to motivate and it is not powerful as improving ones timing, which is an intrinsic reward, and it comes from within us. We tend to become enthusiastic through this. Hence, I followed this principle throughout my life, after leaving Loughborough University. In my life, I carefully choose a race by seeing all details and have statistical analysis of which race is good, i.e., having a fast course and a valid course and it is organised by AIMS, so that the race route is accurately measured. That was how I got the fastest ever Singaporean to do half-marathon time of 1hr 04min in Johore Half-Marathon, and having a marathon time of 2hr 24min 22sec performed in Chiangmai Marathon. I was able to go beyond getting awards, rewards and not use people’s wrong perception of winning, through Alan’s wisdom. In 1992, the then SAAA awarded Rameshon the Meritorius award for doing 2hr 30min in the California marathon. In 1994, he completed his bachelor’s degree at Loughborough University, England. He was also running for the cross-country team for the university in League One races. In a 10km race in Loughborough, he attained his personal best of 31min 46sec. In year 1995, Rameshon attained 2hrs 24min 22sec in the SEA Games at Chiengmai, Thailand by training systematically and doing the breathing technique taught by Sri Sri Ravi Shankar. (http://rameshon-breathingessence.blogspot.com/) Subsequently, he was one of the three from the then College of Physical Education to be inducted into the Roll of Honour organized by the Singapore Olympic Academy in 1998. In 2008, Rameshon completed his further studies in Masters in Education from the University of Western Australia and subsequently in December, that year, at the age of 43 he came in as the local champion in the Standard Chartered Marathon men's open race.